In 2015, marketers have a better understanding of the value of the customer experience than ever before. Even more so the businesses and brands that are quantifying the impact of the customer experience. They are measuring the relationship between customer satisfaction and increased spend (for transactional businesses) and product renewal, cross-sell and up-sell (for subscription based businesses). Whether you have hard data or anecdotal evidence, marketers mostly have a good understanding of the importance of the customer experience. The problem lies in putting this into practice. How well are we executing on this? Here’s my checklist of ways to ensure that your business is providing a great customer experience. It seems like a no-brainer but many brands don’t do it. I recently bought a new car (naming no brands) and as expected I received an incentivised survey asking me to rate the service I received. The service was reasonable and I rated accordingly. What I wasn’t asked is what I expected in terms of after-sale customer care. I had just spent a significant amount of money and it seemed that that was the end of the transaction. Ask your customers what they want, analyse their response and deliver on it. Positivity drives positivity. If I’m given a recommendation for a product or service by a friend I enter into that brand relationship with a spring in my step. I expect good things because I value my friend’s opinion. Entering the customer experience on the back of a referral from a trusted source means the brand relationship is already off to a good start. A wise man (Steve Jobs) once said of Samsung’s smartphone problem, back in the late 90s: “You’ve got to start with the customer experience and work back to the technology – not the other way around.” This is true for all brands and every customer touch point. Use technology to enhance the customer journey. Don’t shape the journey to showcase how technically innovative your brand is. Further, enable your customers to choose the technology and channels they prefer. Let them shape their own customer experience. The experience that a 60 year old baby boomer wants from your brand will be vastly difference to that of an urban dwelling, hipster millennial. The key is empowering your customers to shape their own brand journey. Simply say “thanks” or “we value your business” or both. Say “happy birthday”. Ideally, say it with a personalised offer versus a $10 gift card but either way, do something nice. In our personal lives we tend not to continue spending time with people that aren’t nice to us (or at least not by choice). We gravitate towards nice people and relationships that are rewarding. The same is true for brand interactions. So simply, be nice! An easy experience is a better experience. Take the hard work out of a customer’s interactions with your product or service. What I call “life admin” can be time consuming and frustrating. I want a brand to take the hard work out of (for example) consolidating my super, making sure my family has the right health cover or making an insurance claim. 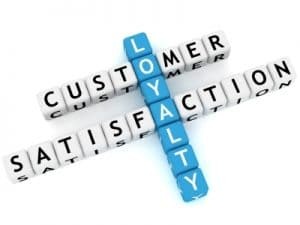 Make your customer’s life easier and they will reward you with their loyalty. The most rewarding customer experiences are with brands that demonstrate understanding of their customers on an individual level. They know their preferences and from past interactions with the brand they can anticipate their future needs. Having a business send you a tailored product offer before you’ve even realised you need it makes for a great experience. Sometimes overlooked as not strictly the responsibility of the marketing function, ensuring that your customer contact staff get the best training, support and incentives is absolutely vital. I recently called a certain Pay TV service to cancel. My call was very promptly connected through to the “save” team and I fully anticipated the retention spiel that followed. The thing is, it worked. The consultant was well-trained, articulate, extremely convincing and probably well-incentivised to retain my business. I didn’t cancel my service that day. I did get more pay TV channels for less money.